September 2, 2016, Nairobi. Motorcycles have become a popular mode of transport in Kenya over the past years. But even before that trend started, farmers have used their “farm bikes” for all kind of activities on and around the farm. 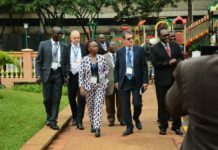 As we all know, the horticultural sector in Kenya has strong links with the Netherlands. Now there is Kibo: a new motorcycle brand that has strong links with the Netherlands too. This rugged machine has a lot of appeal to farmers in Kenya. 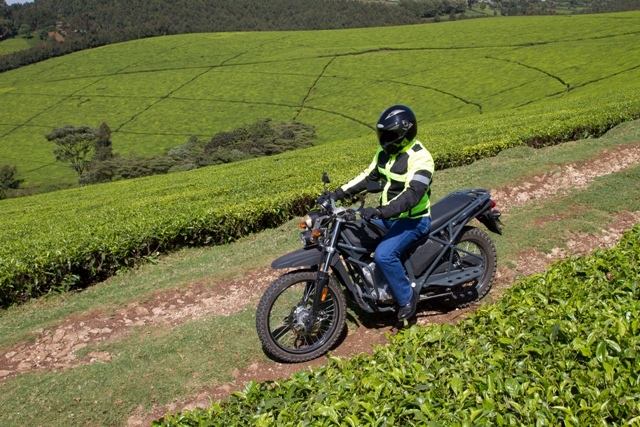 A motorcycle designed in Holland, made in Kenya and built for Africa, How did that happen? In 2011, Dutch entrepreneur Huib van de Grijspaarde saw the need to develop a motorcycle for the African market. This has evolved into a new brand that is producing the first ever motorcycle especially developed for Africa: the Kibo K150. The vision of Kibo is to unlock economic opportunities by providing safe and affordable mobility. The Kibo motorcycle is extremely strong, fuel efficient and easy and affordable to maintain. Our target markets are companies, NGO’s and government organisations. Since the Kibo is brought to the market, we have received very positive feedback from the Kenyan farmer communities. We are extremely happy that the Kibo K150 is perceived as the ideal farm bike by all farmers that have tried it. Our aim is to be the market leader in motorcycles used by businesses. With a payload of 250kg, the Kibo provides flexible and versatile transportation that will save costs to almost any company. Being a social entrepreneur, Mr Van de Grijspaarde wants to maximize the positive impact of Kibo on Kenyan society. That is why the Kibo motorcycle is assembled fully in Kenya and is therefore officially the first “Made in Kenya” motorcycle. Everything about the bike breathes strength and durability and the bike is designed in such a way that it is extremely easy to maintain with a limited toolbox. 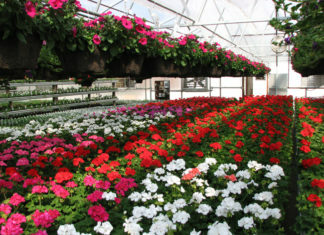 Just like the horticultural sector, it is all about local value addition at Kibo. We are fully compliant with the EAC Local Rule of Origin. This means that the Kibo motorcycles that are produced at our facility along Mombasa Road in Nairobi will be exported to other EAC countries fairly soon. 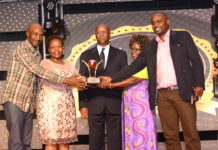 We hope to set an example and provide Kenya with yet another successful export product. 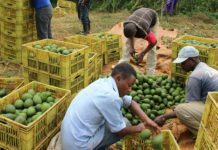 Why is the Kibo ideal for farmers? First of all, it is a dual use bike. This means that it has been designed to perform excellently on both off road conditions as well as on tarmac. The Kibo has a state of the art external frame that is very strong and protects both the machine as well as the rider. The frame also offers many possibilities to safely transport cargo. Kibo is also known for low costs of ownership, with low fuel consumption (42 kilometers per liter), affordable spare parts and efficient and fast after sales service. Because we are doing a full assembly of over 300 parts, we can safely say that our warehouse is literally packed with spare parts. Safety is very important: Kibo offers a wide range of training options, ranging from beginner training to advanced off road training. We supply gear and accessories ranging from CE certified helmets to fleet management solutions. Last but not least, the Kibo is designed by engineers that are themselves love about motorcycles: this has resulted in excellent riding characteristics and it is very comfortable with abundant passenger and cargo space. You may think after reading this: I want one for my farm! Get in touch with us viawww.kibo.bike and visit us at the Naivasha Horticultural Fair – we will be happy to organize a test ride for you!